This tutorial session builds on the Multimodal Technology Training tutorial presented at HCI 2016. In this expansion, participants will receive information about the cutting-edge fields of high-tech simulation and brain based learning as it is applied to real world applications. This tutorial specifically introduces the participant to interactive training paradigms, brain based efficacy measures, and instructional design that provides a means to accelerate learning. Participants work actively work through a series of training scenarios using both roundtable and large group format. The format of the tutorial will allow participants to identify, discuss and reflect on incorporating multiple modalities of technologies into raising the effectiveness of training scenarios presented. After the half-day timetable, tutorial participants will co-create several draft training modules/programs with the main goal of demonstrating how to incorporate various modalities to enhance learner outcomes. The tutorial leaders will present overviews on training technology, interactive simulation, metrics, and instructional design that will focus on how to design, develop, and deliver accelerated learning trainings. The participants will be able to work in groups to practice the application of these integrated tools and will begin the journey of discovering each modalities’ role in successful learning. Scheduled “report-backs” from each breakout group will be used to discover commonalities, and outlier issues, as each group creates a blended learning training program. Each break out session teams will go through an entire iteration of design, develop and deliver to a attain a minimal viable product each breakout period. This tutorial session is designed to result in the creation of several draft training programs during the half-day timetable, demonstrating to participants how to move from theory into practice with scaffolding learners. Eileen Smith is the Director of the E2i Creative Studio at UCF’s Institute for Simulation & Training. Her research explores how the spectrum of technology can be used in understanding and assessing human performance. Her current research initiatives focus around scaffolding naïve learners into advanced learners, addressing diverse industries such as energy, emergency response, strategic situational awareness and increasing quality of life and recognition of value for long-term TBI survivors. 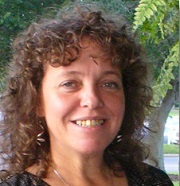 Patricia Bockelman is an Associate Research Professor in the Modeling and Simulation Graduate Program at the University of Central Florida and the Institute for Simulation and Training in Orlando, FL. Her key areas of research include applied cognition across the spectrum of reality, including AR and VR contexts, intelligent behavior, human performance, and instructional design. 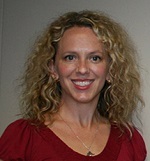 Her most recent efforts have focused on designing simulation-based blended learning solutions for a multinational organization with high-risk human performance demands; supporting decision making for a simulation tool for the Defense Threat Reduction Agency, and measuring human response to augmented reality for the Applied Immersive Team Trainer developed by the Office of Naval Research. She is especially interested in the meeting places between disciplines, wherein transdisciplinary methodologies emerge, so she has collaborated with experts in philosophy, neuroscience, medicine, robotics, art, theater, and more. At UCF, Patricia serves on the graduate M&S Curriculum committee, contributing to the development and assessment of the university’s human-centric modeling and simulation program. 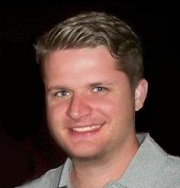 Michael Carney is the Senior Experience Designer at E2i Creative Studio within the Institute for Simulation and Training in Orlando, FL. His key activities include Human to Human and Human to Computer communications in virtual reality environments, the culture of new media and applied simulation and training experience design. He has experience applying simulation mechanics in informal learning environments, formal learning environments and enterprise use case scenarios, specifically design and manufacturing and high risk training. She has 15 years of experience in designing and assessing simulation-based training and rehabilitation tools for civilian, commercial, and military applications. She studies brain plasticity and its relationship to learning and training using simulated and real world training tools. This work includes creating interactive simulated people, places, and things to assess user performance both behaviorally and cognitively. Her main research interests include: 1) Human Factors testing of user interfaces; 2) developing metrics for assessing human interaction with autonomous agents; 3) evaluating neuroeducation strategies for accelerated learning, and 4) designing human-centered enabling technologies. Integral to this work is creating novel quantitative, objective measures using psychophysiological sensors (e.g., eye tracking and electrodermal response) to assess cognitive workload, focused attention, and emotional stress. Her work spans both DOD and civilian applications, turning the research into products to augment quality of life and work performance.